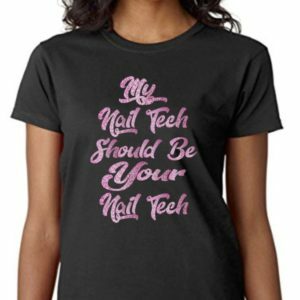 The “Nail Tech’s Coach” Blog! 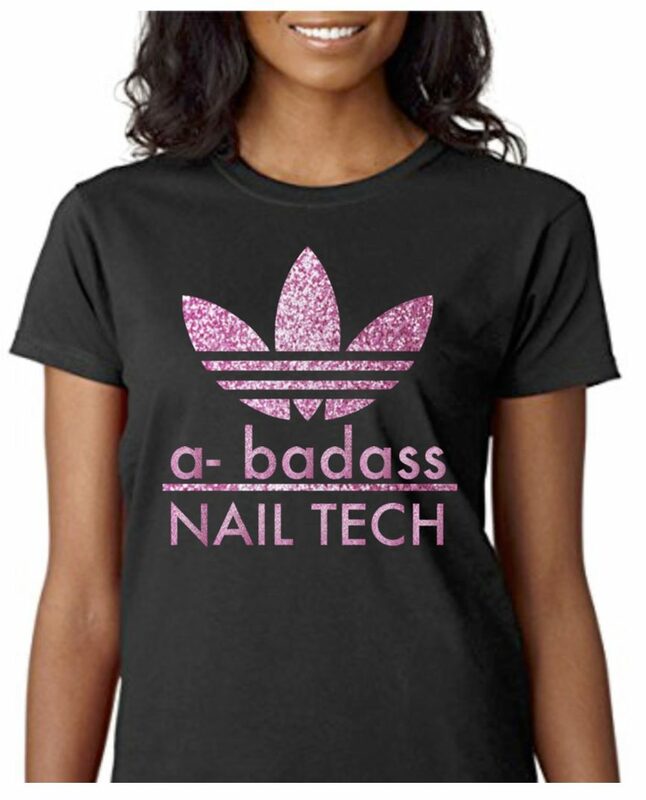 Super cute marketing t-shirt for the Nail Tech’s of the world. Your instagram name can be added on the back to really help market yourself. Just message me and I will send a custom invoice. The size chart is in the pictures I use ladies fit t-shirts for sizes over 3XL there is an additional fee, just send a request and I can make it happen. Thanks for visiting my shop. All of the shirts are designed and created by me and produced as an order is received, which usually takes about 3 days. I’ve included the ladies fit Gildan t-shirt sizing chart in the pictures portion of each listing. 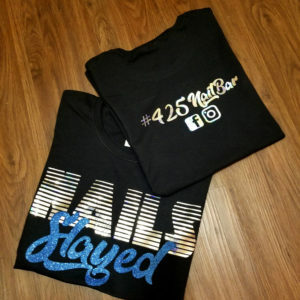 I can do custom orders adding your Instagram name, website and phone number to your t-shirt for an additional fee. You can also request larger sizes and different style shirts for the designs that I have available for an additional fee as well. My goal is to make sure that you get the shirt that best represents you and your business. Aprons are currently only available in black and are one size fits all. If you have an already created logo that you would like done please don’t hesitate to contact me to see if it can be added to your purchase. I do not create logo’s I can however reproduce your logo on to a shirt or apron provided it is already in png or adobe illustrator format. Custom orders are charged on a case by case basis for labor and products as well as supplies. 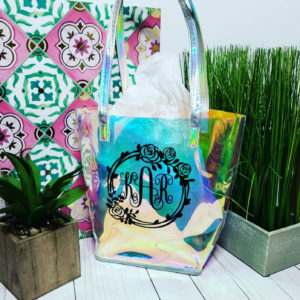 If you would like your logo to put on any of the goodies I sell this can be done. However, I will need the original design file to complete this task. Anything else is just a copy of the original and it will not be the clearest possible design. As stated in the custom order disclaimer your ORIGINAL DESIGN FILE IS REQUIRED. Orders requested without this file will be refunded until the correct file is sent. 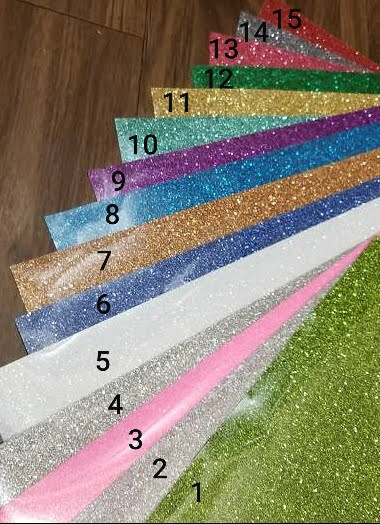 Design files should be sent to chloe [!at] glamnailz.com. All t-shirts are purchased directly from a wholesale supplier and are said by the supplier to be preshrunk. Some shrinking may occur and currently I have not received any unfavorable feedback from clients as far as shrinking. Shirts should be washed inside out with like colors and tumble dried on a low temperature. Do NOT Iron on top of the design. If Ironing is needed please turn the shirt Inside out and try not to Iron on the design on the reverse side. 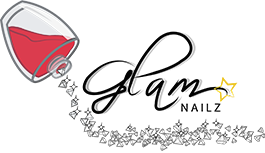 Any apparel with Swarovski DO NOT Iron on top of or on the back of the Swarovski, wash inside a garment bag and tumble dry on a low temperature or hang dry for the best results. The aprons I use are from the Ladybug line and I embellish them.